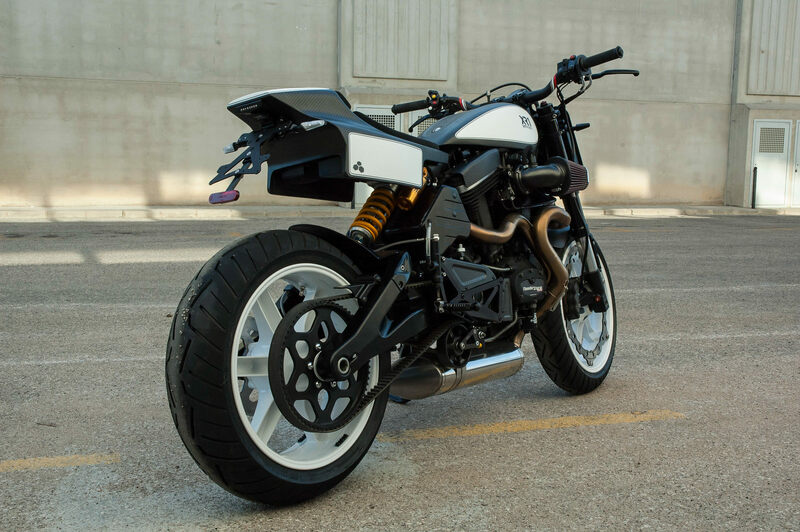 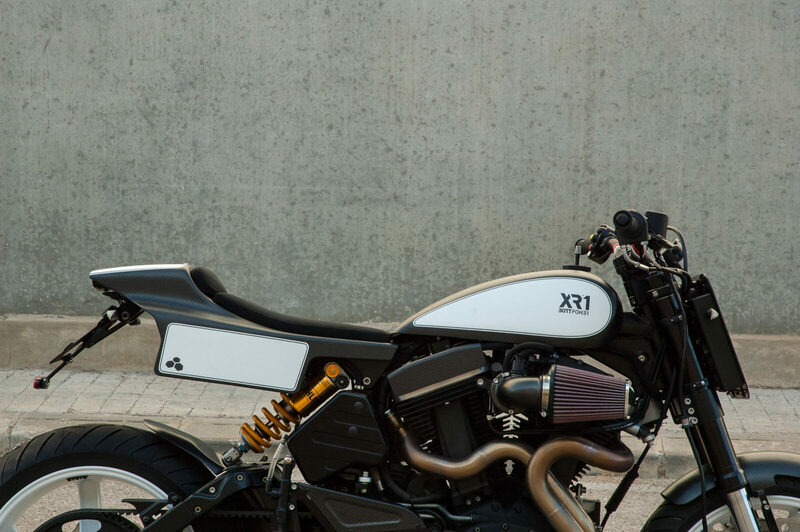 The BOTT XR1 is a Buell conversion kit that turns the already razor-sharp Buell XB12 into a lighting fast street tracker with 100 bhp, 81 ft lbs of torque, and a kerb weight of 394 lbs (179 kgs) – over 44 lbs less than the Buell it started out as. Bottpower was founded by David Sánchez, mechanical engineer with years of experience working as a data and race engineer in racing series like the CEV Spanish Championship where he has worked in the Superbike, Supersport, and Moto2 categories, he’s also worked in the Moto2 World Championship, the SBK Qatar Championship, the Asian Championship, and the World Endurance Championship. 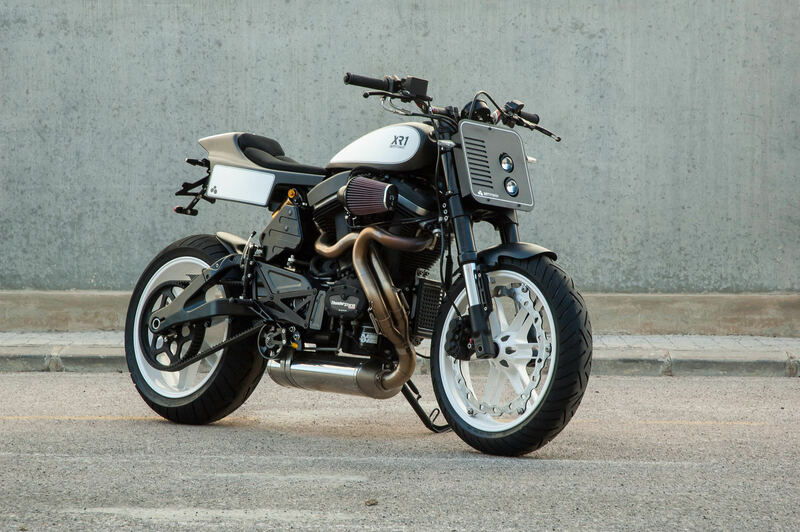 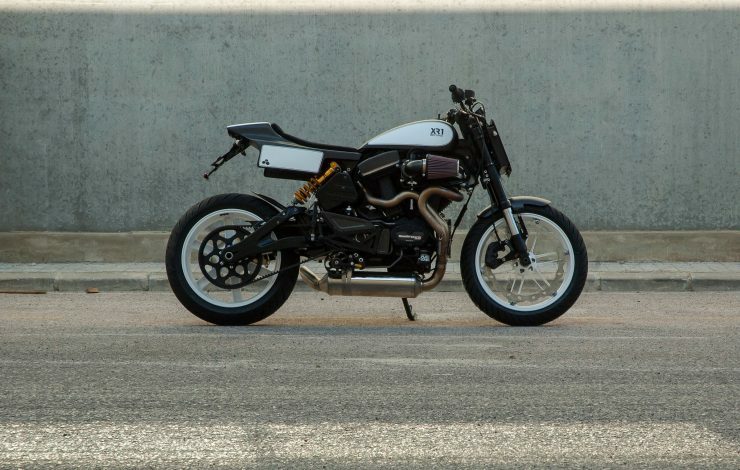 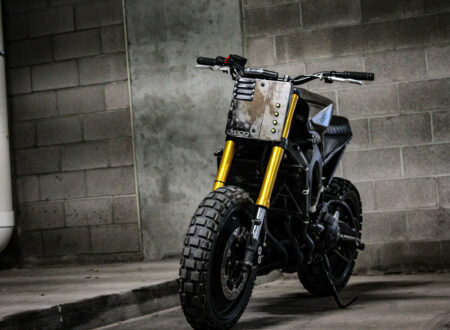 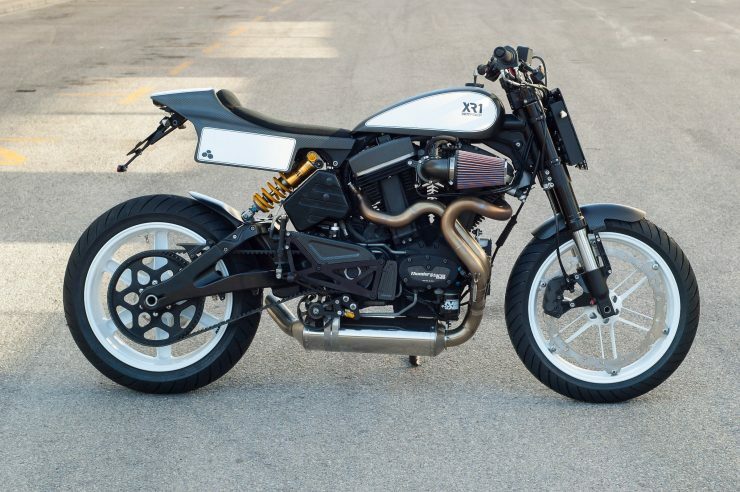 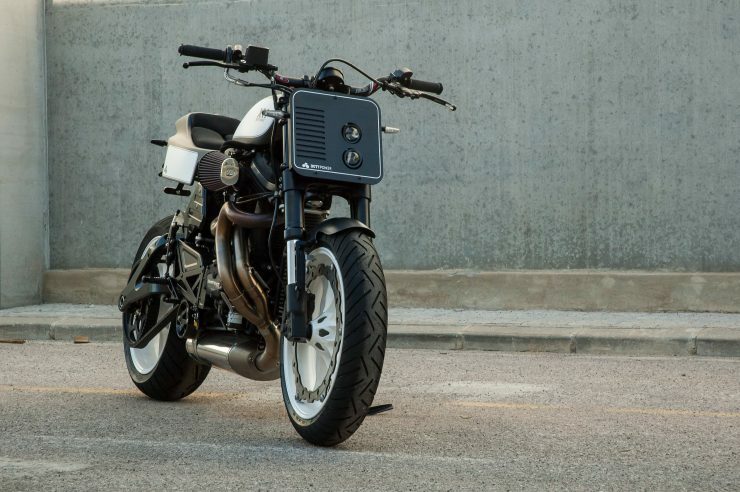 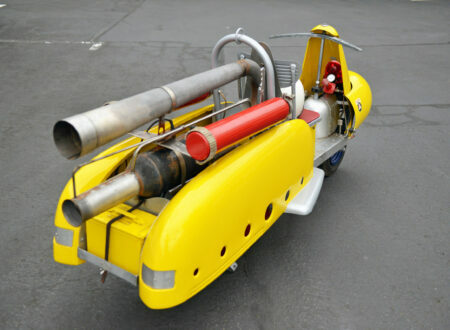 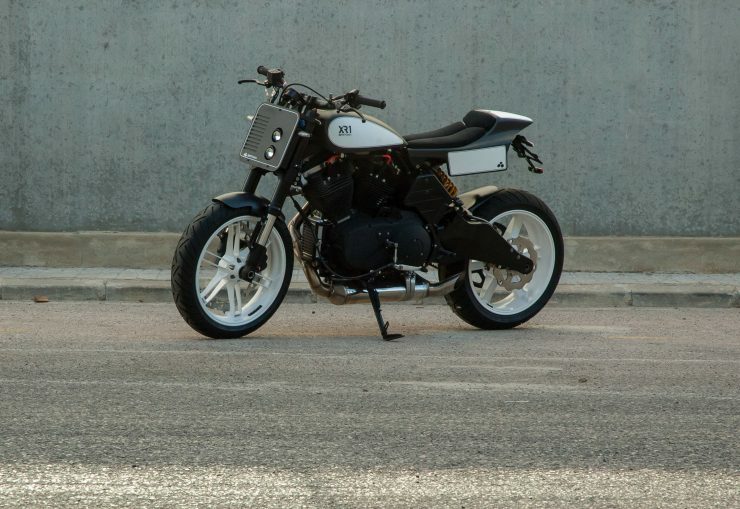 David named Bottpower after the legendary Battle of the Twins Championship (BOTT), he’s maintained an exclusive focus on twin-cylinder engines, most famously the Harley-Davidson Sportster-derived 1203cc Thunderstorm V-Twin which has been reworked by Erik Buell and his team of engineers. 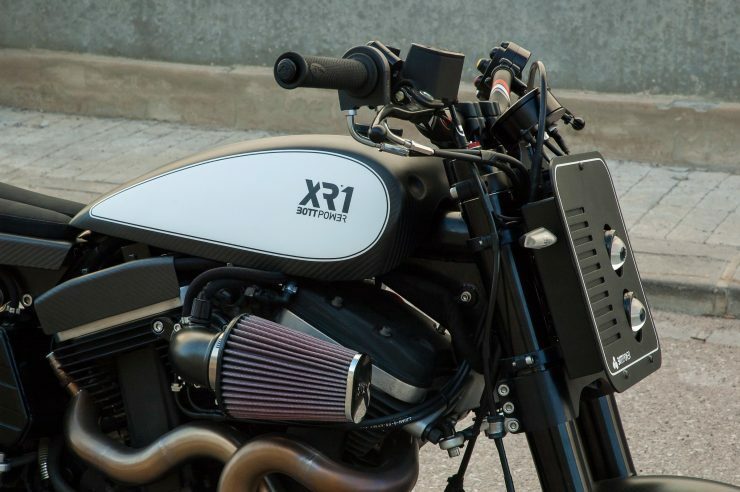 The BOTT XR1 has become a well-deserved darling of the custom motorcycle media, it blends a combination of stunning good looks with genuinely well though-out engineering. 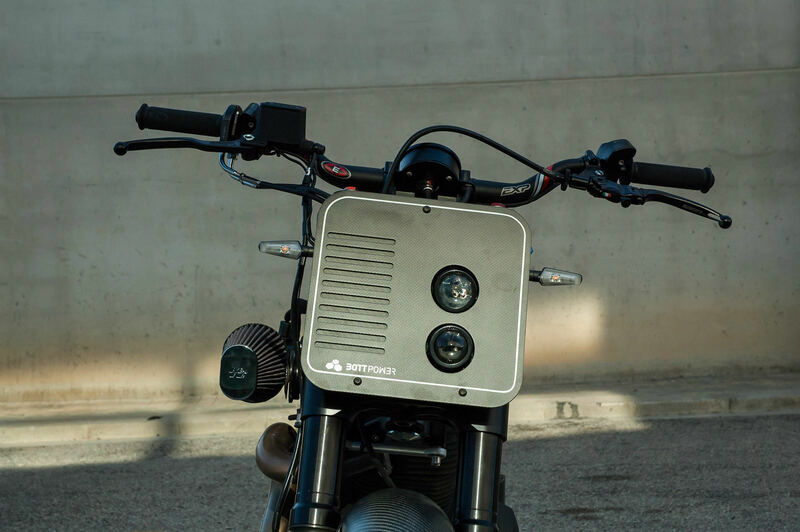 David and the team at Bottpower offer the BOTT XR1 as both a kit or a turnkey motorcycle that they’ll build and ship to you. 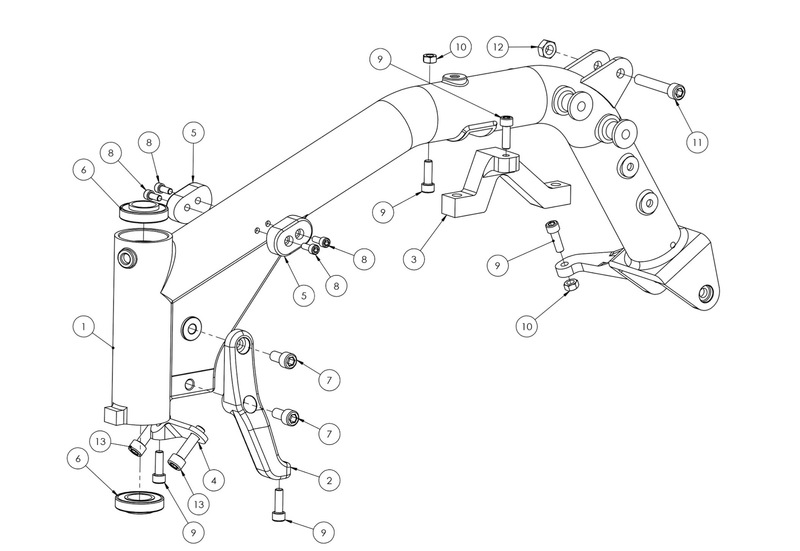 If you choose the kit route you can order either the full kit or just the parts you need, a useful feature for those who already have some required bits laying around the workshop. 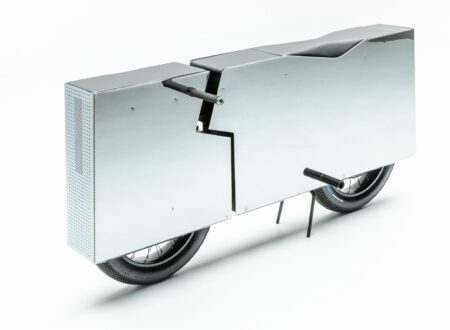 The BOTT XR1 Kit includes a new tubular steel backbone frame to replace the Buell perimeter frame, the BOTT frame includes a vibration isolation system, and it helps reduce weight and fundamentally change the look of the bike. 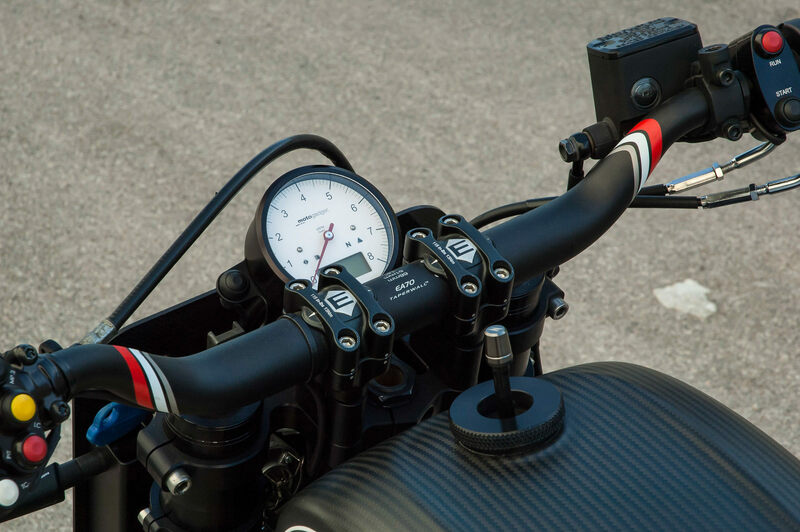 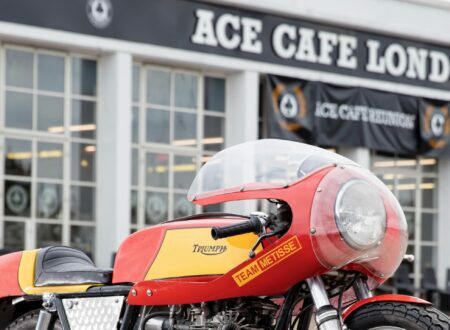 In keeping with the street tracker theme, the kit has a new tracker-style fuel tank and seat, the latter of which has integrated side number plates for racing. 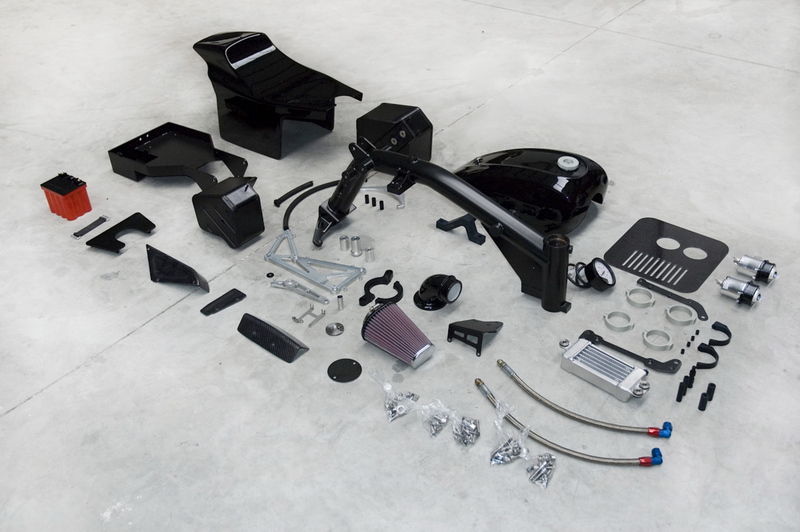 The kit is designed to work with any bike on the Buell XB platform with the longer swingarm, these include the Buell XB12SS, the Buell Ulysses, and the Buell XB12TT. 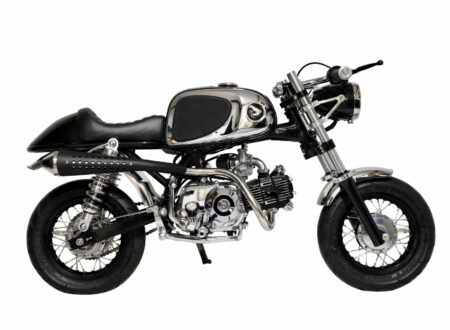 Fortunately these models can be found quite affordably on the secondhand market in most western countries, US pricing is hovering around the $4,000 to $7,000+ mark depending on condition and mileage. 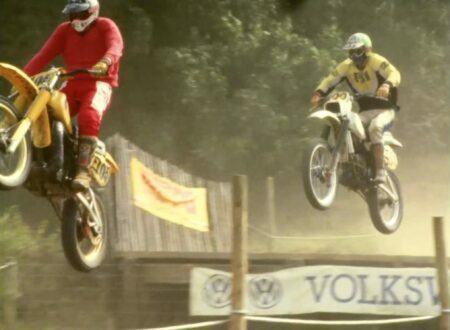 The original wheels, brakes, suspension, engine/gearbox, and wiring loom are all carried over from the donor bike. 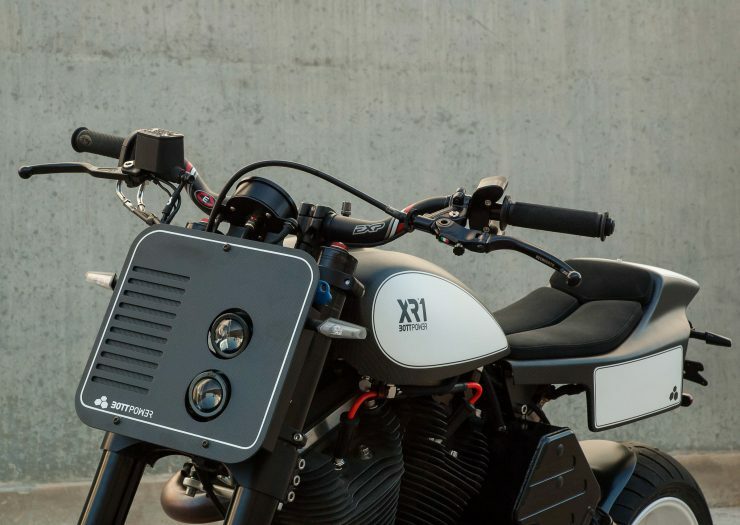 Interestingly the XR1 kit includes three fuel tanks, the main tank on top of the frame and two other smaller fuel tanks mounted under the monoshock in the rear to keep the center of gravity low – total fuel capacity is 11 liters. 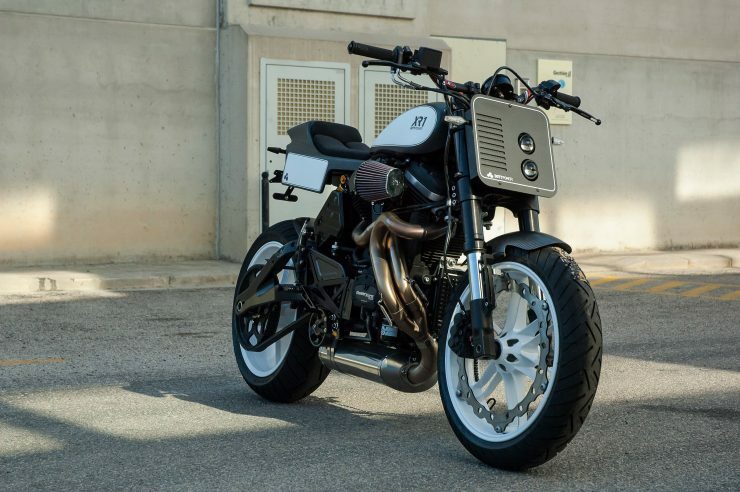 The BOTT XR1 you see here was built by David and his team at Bottpower for a client named Trevor who wanted a factory-built bike incorporating a few new upgrades. 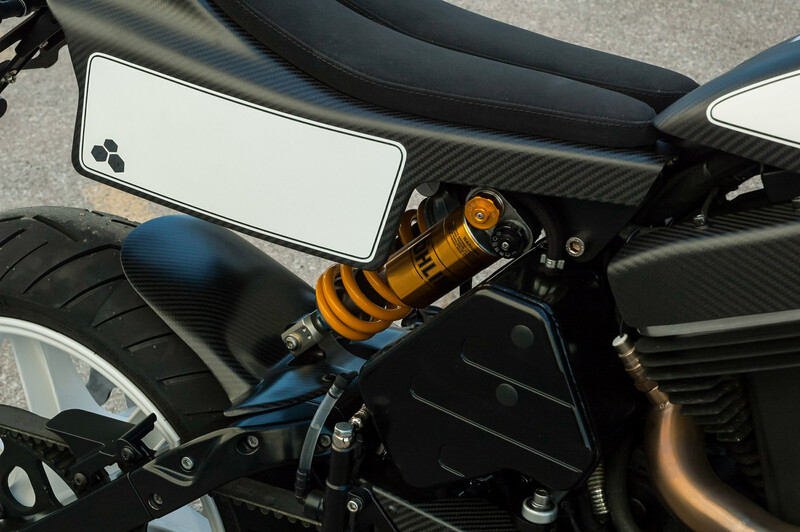 This is the first BOTT XR1 to be fitted with the Öhlins TTX monoshock, this unit was developed specifically for Bottpower bikes taking into account the new lower kerb weight. 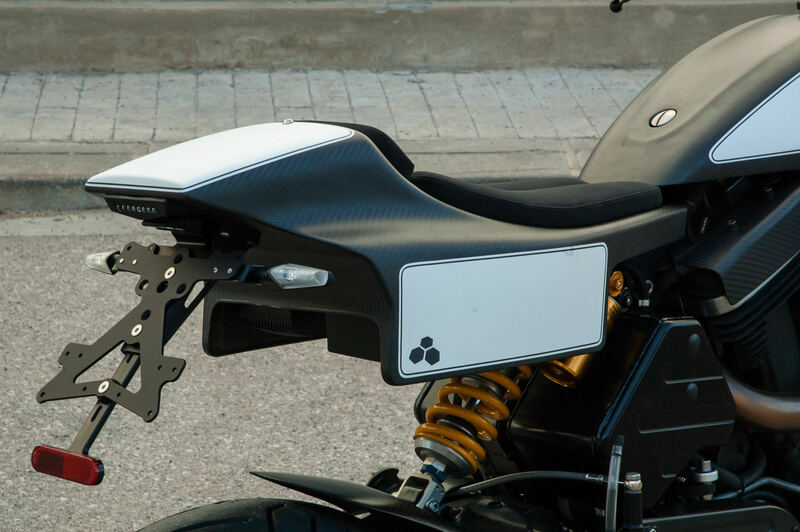 It was also Trevor’s request to trim the lateral number plates and make minimal use of paint, allowing the carbon fibre parts to show though. A carbon fiber front fender was fitted along with a Torque Hammer silencer, a Bottpower triple clamp, a Motogadget display, Continental tires, an Active throttle, an Easton handlebar, a Brembo master cylinder, and a Rizoma license plate holder and indicators. 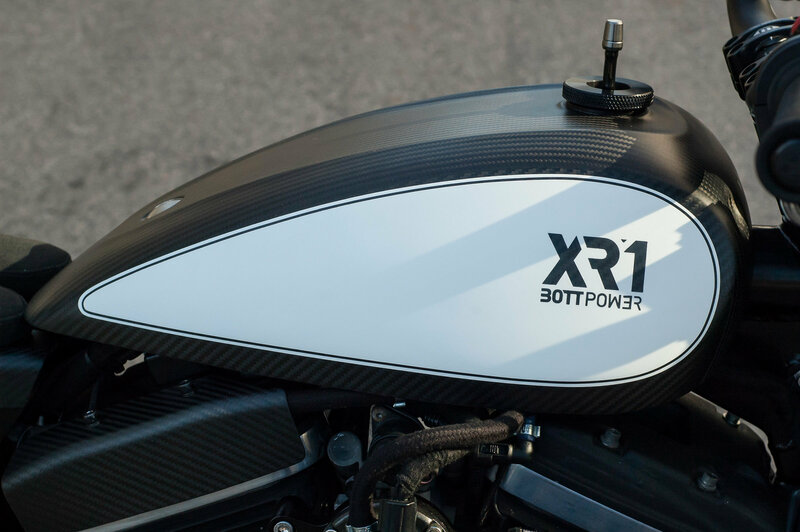 The completed bike is a great example of the XR1, if you’d like to read more about Bottpower or order your own you can click here to visit the website.